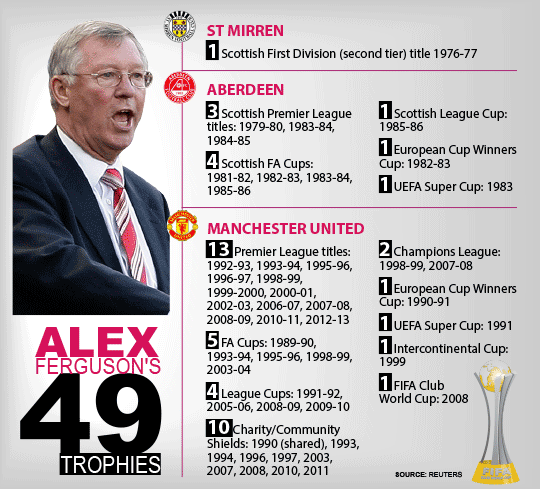 So I have a chance to attempt to be a better “manager” than Sir Alex? Well, I couldn’t exactly say no to a challenge that should keep me interested until Football Manager 2014 comes out later this year. Rick deserves credit for creating this challenge that should keep participants interested. I’ve not decided whether I will do game-by-game updates or monthly yet. Usually do monthly so I may stick by that. 1 – Begin my managerial career in the Scottish First Division, not managing a “big gun” and choose the professional footballer reputation. 2 – If a player decides he wants to move clubs (e.g. wants a chance at a “bigger” club or wants a new challenge) then he will be shipped out. #1 rule, no player is bigger than the club. 3 – Will attempt to stay away from managing the big clubs but if the opportunity to manage Rangers comes out then I will take it. When I get to England I plan to stay away from the likes of Arsenal, Tottenham, Liverpool, Manchester United, Chelsea and Manchester City unless one of them is seriously struggling. 4 – Will attempt to give youngsters a chance to prove their worth (not sure if that’s an SAF thing or I will just do that) as I am usually quick to release/sell youngsters who I don’t think are good enough without seeing them play. 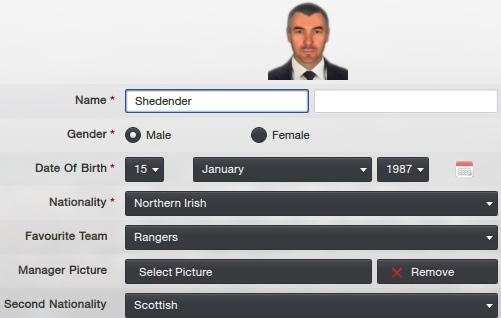 Once again I will be managing as "Shedender" who, if you remember is an "arrogant" up and coming manager from the lovely country of Northern Ireland as he starts his pursuit to be better than Sir Alex. I'll be starting with a Professional Footballer reputation, which is different for me as I usually start with SLR. Nothing but a serious amount of dust, and cobwebs. Horrible! I couldn’t decide on who I wanted to manage as I didn’t want to manage the same club as someone else so that ruled out Partick Thistle, Airdrie United, Hamilton Accies and Dumbarton so I continuously clicked “pick club for me” until it ended up at a Scottish First Division side. I have been given the chance to manage Raith Rovers and it will be a challenge I am relishing. They’re predicted to come sixth if I remember correctly but have a small squad so I’ve brought up the remaining reserves and under eighteens, not much but it fills the squad. We also don’t have a great wage budget but I need to sign players, so I’ll be looking at loan signings from SPL and English clubs to help us out. Good luck mate, make sure you keep hold of Greig Spence and Brian Graham! Welcome to the club, amigo! Be good to see how you do! Cheers Random Jukebox. It’s going to be a tough, but fun challenge. Thanks Rick. I intend too but it’s just a decision on who I’m planning on playing up top as I usually only play with the one striker – that’s providing their both strikers of course. Club is looking good Charlie M and it’s good to be on board. It’s going to be fun. Oh be quiet Dan, at least I don’t decide to start a thread and then give up. 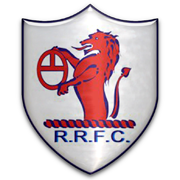 So I’ve been unveiled as manager of Scottish First Division club Raith Rovers in a move that’s pretty much shocking as it’ll be my first managerial job. I was presented to the media at our lovely Stark’s Park ground and I’ve been given a one-year contract if I remember correctly but I don't know whether I intend to stay past the year, depends on how we do this season. We definitely won’t be pushing for promotion this season, that’s not my aim as it’s a tad unrealistic. My personal aim is to try and better the predicted sixth place finish as I believe we could finish in the top four. As you can see, Raith Rovers are a professional football club who were formed in 1883. We will face our fierce rivals this season as they’re Dunfermline Athletic and East Fife who play in a league or two below us. Raith’s other rivals are Cowdenbeath and Falkirk who also both ply their trade in the First Division. Raith used to have the legendary Novo play for them. The average ticket price is seventeen points while season tickets are £250 and that’s not bad. The venue that will see me start my managerial journey. As soon as I arrived at Stark’s Park the first thing I did was ensure the side had some pre-season friendly fixtures arranged and they had five already arranged as we would travel to Brechin, Elgin City and Heriot-Watt University while we hosted Scottish Premier League sides Ross County and Kilmarnock. A gave versus the reserve side was also arranged. It turned out to be a successful pre-season that made me look forward to the forthcoming campaign as we remained unbeaten throughout, beating SPL side Kilmarnock in the process courtesy of a single Smith goal on five minutes even though we didn’t deserve it. Our friendlies started with a thumping success over the reserves as Graham, Anderson, Mensing, Hill, Clarke and Spence were on target before the side picked up a 5-2 win at Glebe Park three days later as goals from Anderson, Ellis, Spence, Smith and Walker saw off Brechin and then we held Ross County at home, 2-0 down with five minutes remaining, two from Clarke picked up a boosting draw. We travelled to Elgin City and edged out a five goal thriller. Summer signing Bopp scored our first before Smith and Anderson also struck. As stated we beat Kilmarnock before pre-season ended with a trip to Heriot-Watt University as we won three two with Celtic loanee Twardzik striking twice along with an own goal. With the wage budget being tight I had to be careful on who I brought into the club – three players arrived on loan for the season as Twardzik and McNally both joined on loan from SPL side Celtic while Mitchell arrived from Rangers. McGeouch, Bopp, Camara, Galinski, Colina, Gomes and Debayo arrived on frees. Murray was the first player to depart the club; he was player/manager so out he went when I took over while Mensing, Wilson, Clarke and Hill were released from their contracts. Why did I release them? Some were on shocking wages and weren't good enough so it made sense. If you’re interested in seeing a screenshot of any of the signings that I have made then don’t hesitate to ask. 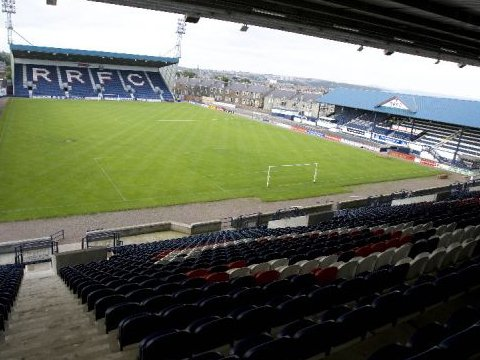 The 2012/2013 competitive Scottish football league season started as the Challenge Cup first round ties took centre stage as I took charge of Raith Rovers for the first time in a competitive fixture since arriving at the beginning of the month. We had a tough test against Arbroath as we travelled to Gayfield. My reign couldn't have gotten off to a better start as we took the lead inside the opening minute courtesy of Hearts loan Smith before two goals in as many minutes from Graham and then a second Smith goal wrapped up the passage. It could have been more but I'm satisfied with the win and passage to the second round. Good pre-season and opening game mate, good signing in Patrick Twardzik by the way, he's immense in my game for Partick Thistle. good start to the league, I am also Raith on the challenge although I have no thread! I signed ex rangers player Kamil Wiktorski (I think) and he was one of my better players. Thanks Rick. I’m not sure how much Twardzik will actually play for me as I use Graham as the lone striker at the moment. Why would I be sacked Dan? Why I ask you? I’ve only played one game and won one. It’s been a good start. We entered August with a busy schedule as we faced six games – three in the league and three cup games. Bar the opening day defeat to Livingston it’s been quite a good month and long may it continue. The month started with a first round League Cup trip to Balmoor Stadium to entertain third division Peterhead and we picked up a single goal victory to advance to the second round as central midfielder Hamill struck five minutes from half time. Our first division campaign started with a trip to Livingston and we crashed to a disappointing three one defeat on our travels but I didn’t expect us to win away to them. Summer signing Bopp scored our goal after 42 minutes. Three days later and we stayed on the road as we made the trip to Airdrie for our Challenge Cup second round affair and we advanced to the third round following a 2-1 away success. Anderson, who was only playing because of an injury struck on 37 minutes before Graham won us the game with seven minutes left. We returned to league action for my first game at Stark’s Park as we hosted Partick Thistle and we shocked them, picking up a 2-1 victory in front of our own supporters with Graham and Bopp scoring. Raith’s final league game of the month had us travel to Dumbarton and we picked up a stunning 5-1 away success much to the delight of our travelling support. We scored our first goal on seventeen minutes before Gomes’ first goal for the club on 36 while in the second half goals from Hamill, Graham and Bopp completed the rout. And the month ended with the side travelling to Morton for the League Cup second round tie and we progressed to the next round on penalties following a 2-2 draw – we fell behind and looked set to lose the game before Hamill converted home a spot kick with five minutes left before we fell behind again in extra time, only for Twardzik to pick the perfect time to strike his first goal for the club. It’s not been a bad start to the league season as we’re sitting in second place after our latest two victories over Partick and Dumbarton. The only defeat came against Livingston. Obviously at this stage of the season the league table means squat. I didn’t even realise he was a free agent but unfortunately I’ve just searched on him and he’s joined Airdrie. Shame. It’s also good to see someone else is managing Raith – how are you doing in the game by the way? On the back of a promising month of August my Raith side entered September with seven gruelling games coming up. Five of those were in the first division while we had a Challenge and League Cup third round ties to deal with. It wasn't going to be an easy month as we had to face Falkirk and rivals Dunfermline. September started with a tough home clash with leaders Falkirk and we could only pick up a point in front of our home support. Was I happy? No. Goals from Graham on nineteen and Gomes on fifty-four had us 2-0 up but we couldn’t defend and ended up conceding twice in stoppage time to draw. I was abit miffed. East End Park was our next venue as we travelled to Dunfermline for the Fife derby and despite playing poor in parts we pinched an unexpected and undeserved single goal victory as attacking midfielder Bopp was the hero twenty minutes from time. The side picked up their second consecutive single goal victory as Morton travelled to Stark’s Park – Graham struck what turned out to be the winner after twenty minutes. We then were to crash out of the Challenge Cup at the hands of Cowdenbeath who edged a seven-goal thriller. Smith, Bopp and Gomes scored our goals but ‘beath won it with a strike in extra time. Back to league action and the side made the trip to New Douglas Park as we suffered our second league defeat of the season, crashing 2-1. The ‘accies took a 2-0 lead before Colina’s goal, ten minutes into the second period turned out just to be a consolation goal. Our penultimate game of the month seen us crash out of the League Cup at the third round hurdle courtesy of Premier League side Dundee United who won 5-2 at Stark’s Park and deserved it – a Barrett own goal and Smith scored for us. And the month came to an end with a home game against Cowdenbeath as we looked for revenge for their Challenge Cup victory 10 days previous but unfortunately we could only settle for a point as Bopp struck for us on 67 minutes. We are still steady in the league as we’re in 4th place but only three points behind leaders Falkirk and two points behind second place Partick Thistle. Only eight games have been played so there are still loads of football to be played this season for us to beat our pre-season expectations. I Started off poorly as the back room staff are terrible, brought in a lot of new faces and changed the tactics about. Sitting mid table at xmas so similar to yourself. Try take advantage of the trialists where the squad is thin or b4 singing someone. October was a short month because of the international breaks, which helped us slightly as I was able to send some players on “holiday” to rest up ahead of the three league fixtures this month and they weren’t easy as we had both Livingston and Partick back to back. But it was a trip to Airdrie’s New Bloomfield stadium and we produced an excellent 3-1 away success to return to winning ways as Bopp struck twice inside the opening eight minutes to put us in control and then Graham added a third early in the second half. Airdrie did pull a goal back later in the second half but we didn’t manage to crumble and held on for an important three points. Our only home game of the month was up next as Livingston visited and despite us playing very well it would be the Livi fans celebrating as they headed home with a single goal victory, much to my annoyance. October came to a close with a trip to Fir Hill and Partick picked up a deserved 2-0 success. It was a limp and unacceptable performance. The slide down the table is starting as we’re now sixth following those back to back defeats at the hands of Livingston and Partick but yet I’m not concerned as the table is so tight we’re only six points behind Falkirk who still lead the league. Not a good run but it's still early doors mate, a mid table finish would be a good result with Raith in your first season so don't get downhearted. They’re a frustrating side to manage dramacydal2002. Raith have some good solid players but I am struggling to find consistency. I haven’t even considered bringing in triallists as I forgot you were able to play them in the league. They’re predicted to come sixth Rick, if I can achieve that then I’d be satisfied but I’d be chuffed to beat that. The penultimate month of the year was upon us and we played six games in a month but that will quickly be forgotten as it was a dismal month that didn't see us win a single game and also crash out of the Scottish Cup at the hands of second division Alloa Athletic. But, first thing’s first, I'm announcing a new signing. I’ve brought in former Republic of Ireland international Butler on a deal until the end of the season. He may not took great but at 31 he has bags of experience as he’s previously played for English sides Sunderland, Swansea and Hartlepool while he’s also had a loan spell at Darlington. Butler spent a season at Dunfermline too. I wasn’t planning on bringing any more players in but I’ve only had one left winger so I felt the need to bring in another so I can rotate. Our first game of the month was a Scottish Cup third round trip to Alloa and we had to come from two goals down to rescue a replay at Stark’s Park. Second half goals from Graham on fifty-four and Bopp on fiifty-nine ensured we did earn a replay but it was a poor performance. The replay was one to forget as we crashed out of the Scottish Cup, going down 2-1 at home despite attacking midfielder Bopp opening the scoring inside the opening minute. Alloa equalised with a controversial strike late on before winning the tie in extra time. We were booed off, and rightly so. Losing to a second division side is unacceptable. We returned to league action as we hosted Dumbarton and our dismal form continued as we crashed to a 3-1 defeat as Graham struck our only goal five minutes from half time. Yet again the side got booed off and I don’t know how I’m going to turn this around. Our next league action had us travel to Falkirk who defeated us 2-1. Central defender Colina scored for us late in the first half. Next up was the Fife derby as we hosted Dunfermline, a perfect chance to get to return to winning ways? No. 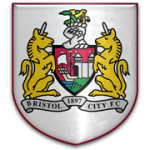 Our dismal form continued as the East End Park outfit won 2-1 – Walker scored our consolation goal on fifty-seven minutes. Our losing streak did come to an end as the month concluded but we could only manage a draw against Morton. Walker opened the scoring on eleven minutes but our inability to keep a clean sheet cost us yet again as Morton equalised. 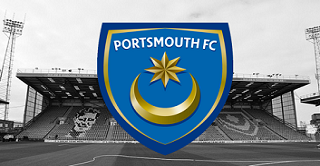 We need to start winning and soon unless we’re going to be in a relegation scrap. A poor month indeed and we are sixth in the Scottish first division and our confidence is seriously hammered as I don’t even have a clue when we’re going to win a game again. December isn’t going to be easy too as we’ve Hamilton, Livingston and Partick Thistle. 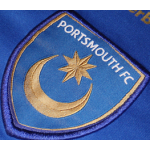 bad run of form, need to push on til jan transfer window! The form has been dire indeed dramacydal2002 and we’re only 5 points above the relegation play-off spot. Not good. On the back of a shocking November, the final month of 2012 saw us play five games all in the first division as we needed to return to winning ways and quickly before we get dragged into a relegation battle. The month wasn’t going to be easy as we had to play Hamilton, Livingston and Partick. Before the football would start I added another player. I've signed Daniels on a free transfer and he’s penned a deal until the end of next season. He’s previously played for Manchester United and West Bromwich Albion but he’s never made a single appearance for them and has always been loaned out to clubs like Motherwell, Tranmere and most recently Southend to name three clubs. 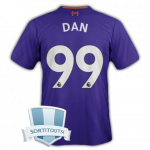 Previous first choice goalkeeper McGurn has been released as the thirty-two year old wouldn't be playing. December started with a trip to Cowdenbeath and our winless run came to an end thanks to a 3-2 away success as Graham struck a sensational hat-trick as the Scottish striker struck after forty-two, eighty and ninety minutes to ensure three much needed points as our winless had stretched to six league games. A week later saw us host Hamilton and we could only manage a point despite being the better side throughout and Bopp scored our goal on 27 minutes. We should’ve won but we just couldn’t take our chances and that was extremely disappointing from our point of view. A single goal from Hamill on sixteen minutes saw us beat Airdrie 1-0 at Stark’s Park. On Boxing Day we travelled to Livingston and we picked up an excellent away draw despite being second best. Gomes put us into the lead on twenty-eight minutes but the hosts equalised and could have gone on to win it. And the year ended with a home clash with Partick Thistle and we picked up our third draw this month despite being second best for the second game running. Partick took the lead but Twardzik’s first league goal for the club, on fifty-five minutes, rescued a points. A superb unbeaten month has seen us climb up to fifth in the first division.